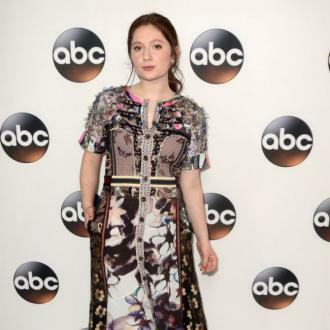 'Roseanne' actress Emma Kenney, 18, is seeking professional help for her personal ''battles'' after falling in with a ''really fast crowd''. Emma Kenney is seeking treatment after getting involved with a ''fast crowd''. The 18-year-old actress is receiving professional help to overcome unspecified issues relating to personal ''battles'' as she doesn't want to see herself slide down a ''slippery slope''. She told E! News: ''I was running with a really fast crowd. I was being naive and very immature, and I was doing things I should not be doing because it was illegal and I'm not 21. ''It wasn't healthy, and it was making me feel even worse--anxious and depressed. The 'Roseanne' star is hopeful she'll get her life back on track and has urged her fans to seek help if they feel they need some support with issues they are struggling with. She added: ''I want to be the healthiest, best Emma that I can be, and I know that by going to treatment that's what's going to happen, and I'm going to continue on that positive road. The 'Shameless' actress revealed earlier this week she was planning to take a break from social media and her life in Los Angeles so she could find her ''peace''.